This tutorial will show you how to create a responsive YouTube Video Gallery with Amazing Slider. 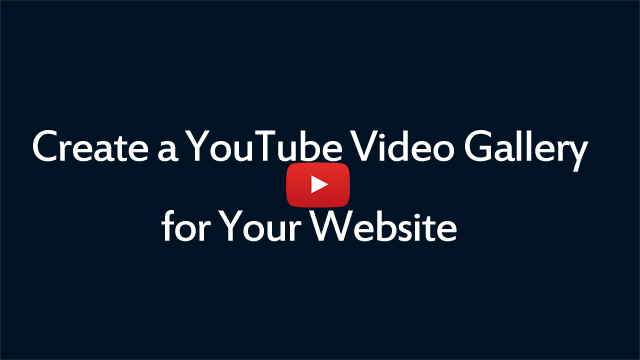 An online demo created with this tutorial is at jQuery Responsive YouTube Video Gallery. Click the Step 1 button on the main navigation bar, in the Add slides dialog, you can define size of the Gallery. Then you can click the YouTube button to add a YouTube video. You can choose a thumbnail image from YouTube or you can select a local image file. In last step, you can publish the gallery to HTML files which can be easily inserted to Dreamweaver, Frontpage and other HTML editors. Or you can create the gallery as a WordPress Slider Plugin.